‘Koffee with Karan 6’ is up and running and in the upcoming episode (November 11), we will have Varun Dhawan appearing with Katrina Kaif for the first time (so many firsts this season, isn’t it?). The chat show of Karan Johar is known for creating some controversies and awkward moments. Now, Varun Dhawan has made a big revelation on why he started a ‘Hate Katrina Kaif’ club. The reason was that he wanted to get Salman Khan‘s attention. For those who are unaware, Salman Khan used to be in a relationship with Katrina Kaif. After parting ways amicably, Katrina is still good friends with Salman and will be next seen with him in ‘Bharat’. Varun Dhawan is one of the most sought after actors currently as he has an enviable record of not delivering a single flop. The ‘Badlapur’ actor recently acted in the remake of Salman Khan’s cult film ‘Judwaa’ and it was a smashing hit. Katrina Kaif, on the other hand, is awaiting two of her biggest releases this year – ‘Thugs of Hindostan’ with Aamir Khan and ‘Zero’ with Shah Rukh Khan. Both Katrina and Varun share a close bond with Karan and the episode (by the looks of it) will be quite fascinating to watch. 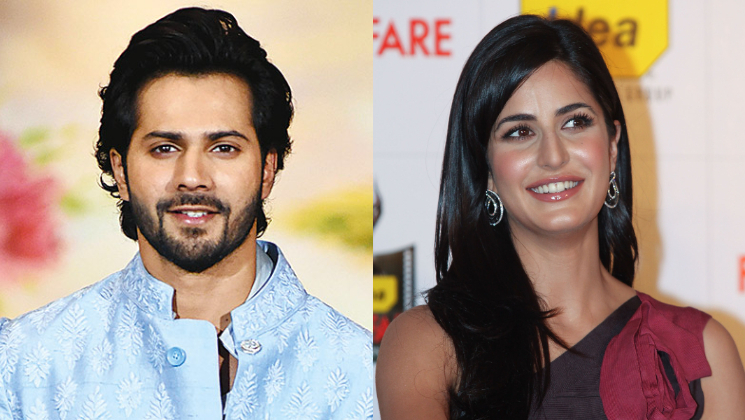 Varun Dhawan and Katrina Kaif will be seen in Remo D’Souza’s ‘ABCD 3’.